My name is Stephanie Schafer and I am a Regulatory Engineer at Dell. What does that mean? I lead the sustainable materials program and responsible for using 100M lbs. of recycled content and other sustainable materials in Dell products by the year 2020. In other words, I do the science that turns “trash” into treasure. It’s a great job. I get to work with all sorts of crazy materials like scrap carbon fiber from aerospace, plastics from water bottles, and my favorite, gold from our own e-waste. In fact, I helped kick off the recycled gold pilot in our Latitude 5285 2-in-1 and the recycled gold jewelry line in collaboration with Bayou with Love. With Earth Day around the corner, I’m excited to share that we’re offering an exclusive “gold” special. 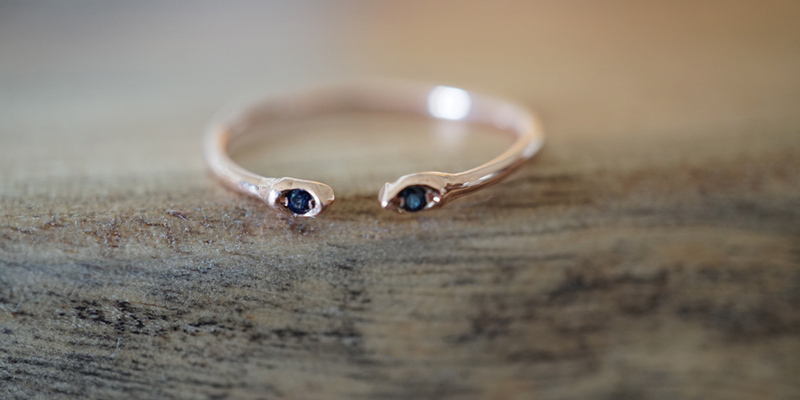 Purchase a select beautiful Rose Gold XPS 13, and receive a custom “One Earth” gold ring, designed by Nikki Reed’s Bayou with Love just for Earth Day. The collection is made from the gold responsibly extracted from computer motherboards recovered through Dell’s recycling programs and the blue stone is inspired by the beautiful blue that covers most of our planet. The jewelry is beautiful, but it’s certainly more than just that. It a reminder of the beauty that can come from our “waste” and the role we all play in ensuring responsible recycling. It also helps us fulfill our commitment to recycle 100 million pounds of waste in an innovative way. So wear it proudly! I hope you take advantage of this promotion and I also hope you join me in spending Earth Day finding simple ways to clean up our planet and support sustainable design!